The supplement industry is full of crooks, liars, and thieves. Manufacturers and distributors of dietary supplements and dietary ingredients are prohibited from marketing products that are adulterated or misbranded. That means that these firms are responsible for evaluating the safety and labeling of their products before marketing. Re-read the bold portion of the quote. The FDA does NOT actually evaluate these products. It’s up to the supplement companies themselves to do so. And that’s why you can walk into the local vitamin shop and find shelves upon shelves of products that claim to build muscle and burn fat WITHOUT actually containing anything that’s been proven to work. Seriously, take a minute before you buy any new supplements, go to Google Scholar and search for peer-reviewed studies on that compound. You’ll often find that the latest bodybuilding supplement has been proven to be ineffective when studied in the lab. Sure, you can reliably build muscle quickly using the anabolic steroid types of supplements. But that’s illegal, hard to find quality sources of, and messes with your hormone levels. It’s not worth it unless you’re a bodybuilder or competitive athlete. 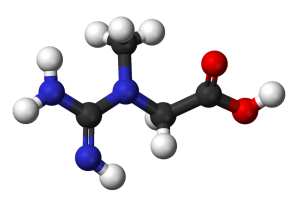 Creatine is an organic acid, naturally synthesized by our bodies from several amino acids, that helps to supply energy to the cells of the body, especially in skeletal muscle. It’s also the only legal performance enhancing drug that’s been researched extensively and proven to increase strength and lean muscle mass. New studies even suggest that it may have antidepressant effects and various cognitive benefits like enhanced memory and reaction speed. For maximum effect take five grams per day. Ignore the product’s labeling that tells you to “load” and take more than that at first—studies have shown this ineffective. The main reason to take a multivitamin is as an “insurance policy” against any nutritional deficiencies in your diet. NOTE: There are some recent studies that question the efficacy of multivitamins. They call into question how efficiently our bodies are actually able to absorb nutrients from vitamin pills. For this reason I fully advise and recommend eating nutrient rich vegetables and fruits every single day. The most common deficiencies you’re likely to have are zinc, magnesium, and vitamin D – vitamin D being the biggest culprit. This is because it is a hormone that’s made in the skin when exposed to sunlight. However, many of us tend not to get too much exposure to the sun, and are deficient as a result. Aside from reducing the risk of disease and other general health benefits, these deficiencies are also linked to lower testosterone levels. 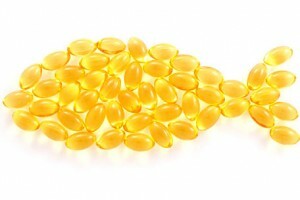 Fish oil is, shockingly, oil derived from the tissue of fatty fish. This oil contains omega-3 fatty acids (EPA) and docosahexaenoic acid (DHA) and has been proven to reduce tissue inflammation, reducing the risk of various diseases and cancers—in addition to assisting in maintaining superior body composition with weight loss. Whey protein powder is simply a convenient form of protein. It usually consists of a blend of whey protein concentrate and whey protein isolate. It’s derived from milk that has been left over and coagulated. The only reason to use this powder is if your diet is low in protein. Taking a scoop of protein after a workout won’t magically build muscle. 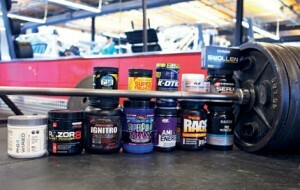 Pre-workout powders are mixture of substances meant to be taken before a workout in order to boost energy and focus. You should only take a pre-workout powder if you struggle to get to the gym BECAUSE of poor energy. I used to be addicted to these, and I couldn’t work out without one. Also, they usually contain a large amount of questionable, odd ingredients. Caffeine is almost always the active ingredient, and for that reason, a coffee works as a great (and usually cheaper) option for a pre-workout boost. For this reason I suggest making your own pre-workout using only the ingredients proven to work. The above list is by no means 100% exhaustive, but it does cover the VAST majority of supplements you should even consider taking. If there’s something else you’re curious about then I suggest searching for peer-reviewed studies on Google Scholar and seeing what is proven and what is not. This was a partial excerpt from my brand new training program Body of a Beast.